As for the eyeshadows themselves, they are gorgeous. They are well pigmented with lovely finishes. None of them disappoint. Virgin is a satin creamy-white colour. 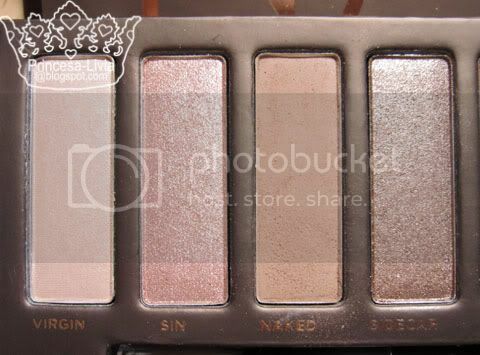 Sin is a frosty light pinky-taupe colour. Naked is a satin pinky-brown colour. Sidecar is a frosty yellow-taupe color. Buck is satin medium brown colour. Half-Naked is a frosty bright bronzey-gold colour. Looks similar to MAC Amber Lights. Smog is a frosty bronze colour. A bit darker than MAC Bronze eyeshadow. Darkhorse is a blackened-brown colour that is slightly shimmery. Toasted is a shimmery pinky-taupe colour. Hustle is a dark brown with less shimmer than Darkhorse. Creep is a slightly shimmery dark grey. Gunmetal is a shimmery medium grey. Because these are all neutrals, they are very easy to wear. 4. And finish off with Virgin or Sin as highlight. 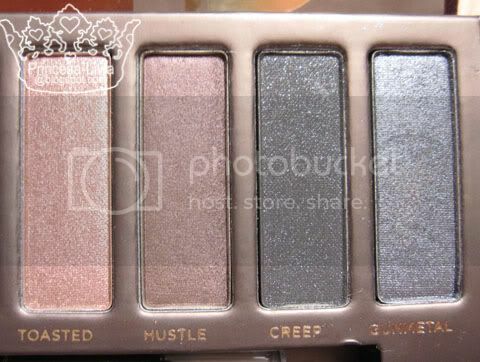 * If I want my eye look to be a bit more smokey I would use Buck or Creep on the crease or outer V.
5. Line my upper lash line with MAC Slick Black greasepaint stick. And voila! Eye makeup done! 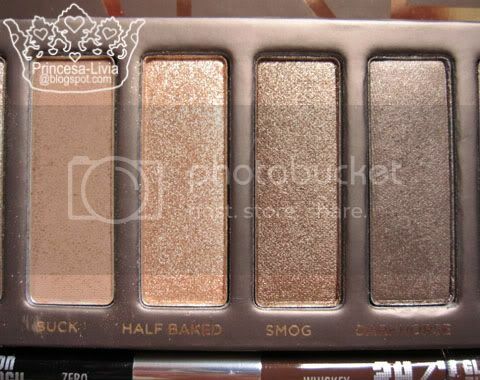 This palette also comes with a double ended 24/7 liner which includes Zero (black) and Whiskey (brown). These liners are very soft to apply, but I am not to keen on these since my eyelids can be quite oily and these liners do crease on me. ooh this looks soo pretty! 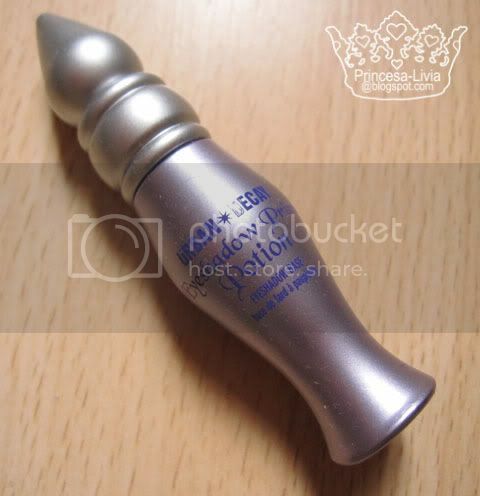 i keep seeing it on everyone's blogs and i already have enough eyeshadow but i may end up breaking down and getting this, it just looks too nice! i want to pick up the palette--it looks soo beautiful. 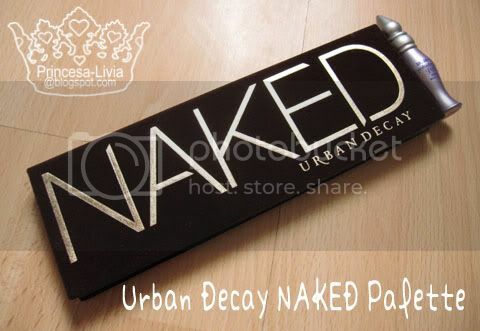 and i don't have any urban decay shadows yet but i love their primer : ) thanks for the review and swatches!! Me need this palette! ^^ Love the swatches too! You took awesome photos btw, what camera you use for these shots? Is it the Canon IXUS 110IS mentioned there on your right bar? =) Thanks for this review! 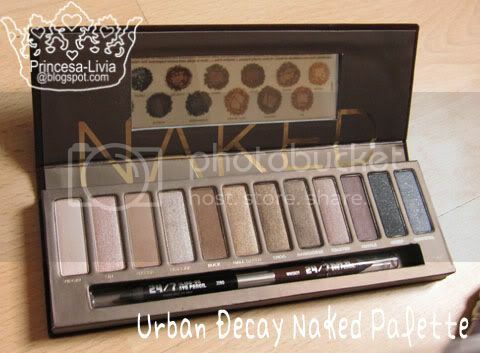 Yay for Urban Decay! I actually stopped reading your post for a second to go to the UD website and request a reminder for when this palette is back in stock. Great post, I love all these neutrals.